I know that the US has a very differnt culture around tipping than Australia, and am wondering in what instances can you leave without giving a tip in Texas in 2008? Has it always been that way, or is the culture changing? I also wanted to say that I like the blog, and your choice of shots to give us all a dose of day to day life! 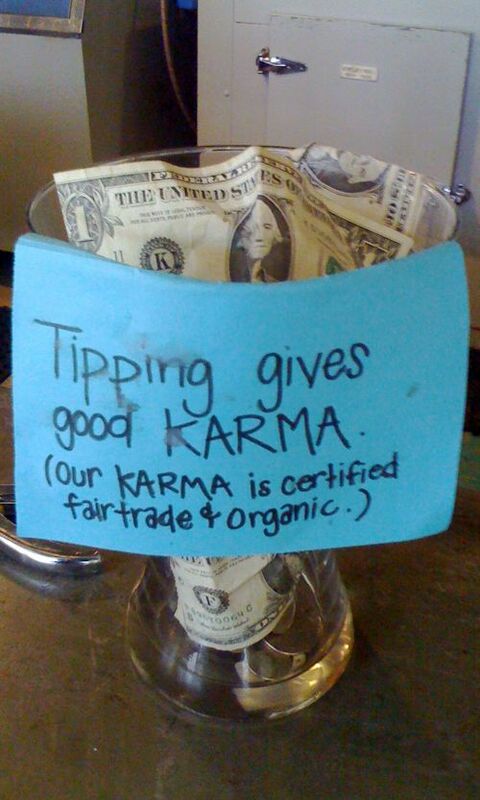 There are a few coffee shops that I like, and one reason is the unique tip jar notes. Since I tend to ask annoying questions and pester the help, I just figure it’s the right thing to do. When I can.